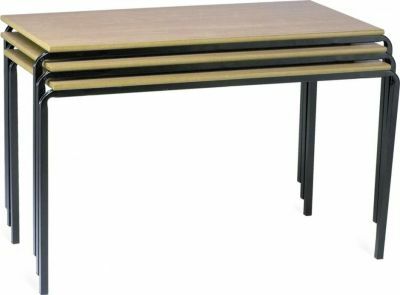 Rectangular crush bent tables with 18mm thick laminated MDF tops in a choice eight finishes. Durable 1.50mm guage steel frame in a choice of powder coated finishes. Manufactured in the UK. Excellent value tables with a crush bent frame, manufactured for high traffic use. This particular range is popular for use in schools and other commercial establishments.